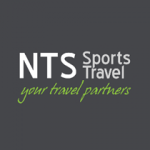 USA Gymnastics has partnered with NTS, to help you make all your travel accommodations to the 2019 USA Gymnastics National Congress & Trade Show. Click here to book your accommodations TODAY! Member Club Business Forum will take place on Thursday, August 8. Sr. Women’s competition will end on Sunday, August 11.